This outfit is just a super casual outfit pairing I wore the other day. 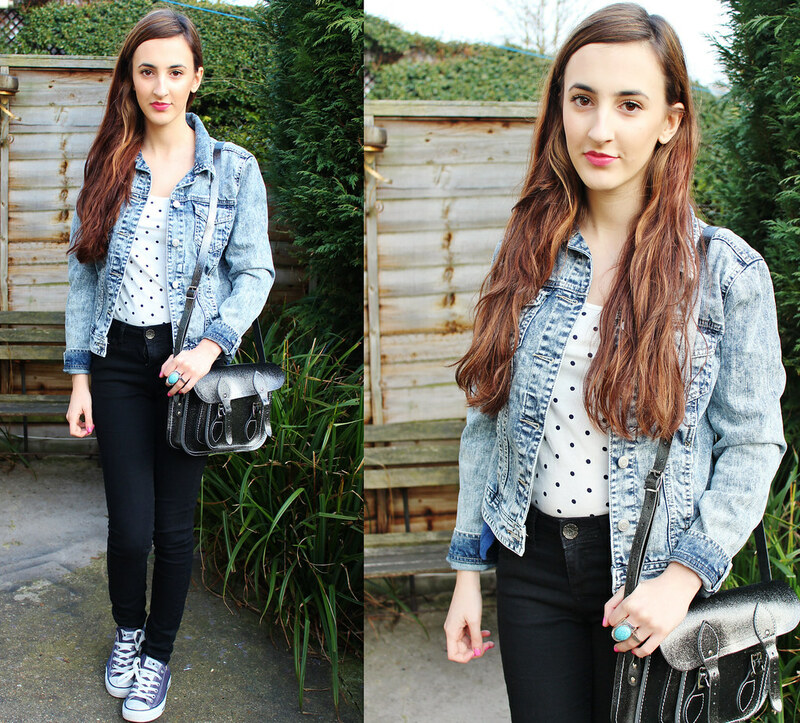 I think this acid-wash denim jacket is fast becoming my new favourite staple for Spring. I couldn't believe it when I saw it in Primark for a bargainous price of, £16! 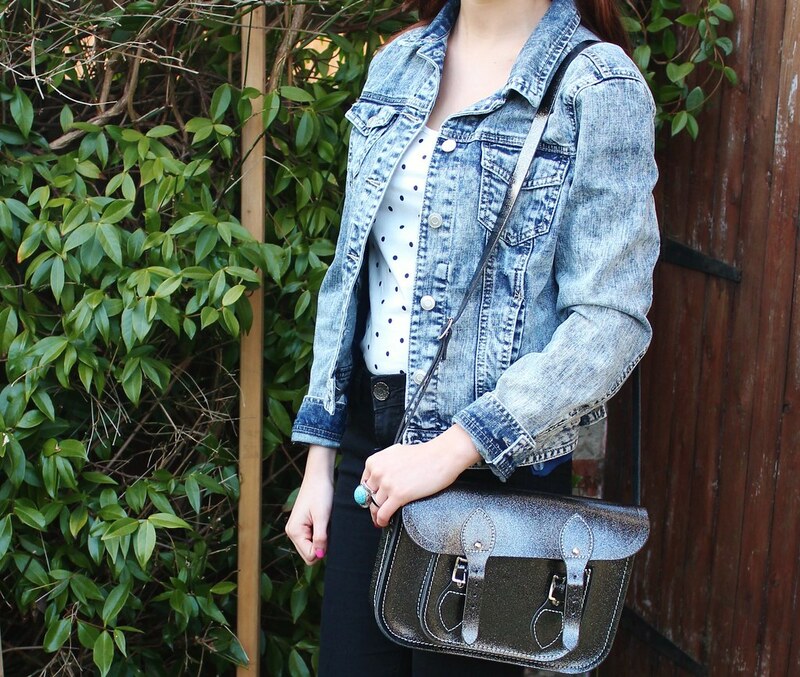 I've been looking about for a slightly oversized one for ages now but most were around the £30 to £40 mark, and this Primark alternative was perfect for me as I wanted one that had a distressed vintage look. I also really love the look of it with this Forever 21 polka-dot tee and my satchel to keep with the neutral, cool tones of the outfit. The Cambridge Satchel will definitely be coming with me wherever I go during the summer as I can pretty much put it with anything and it will look good. 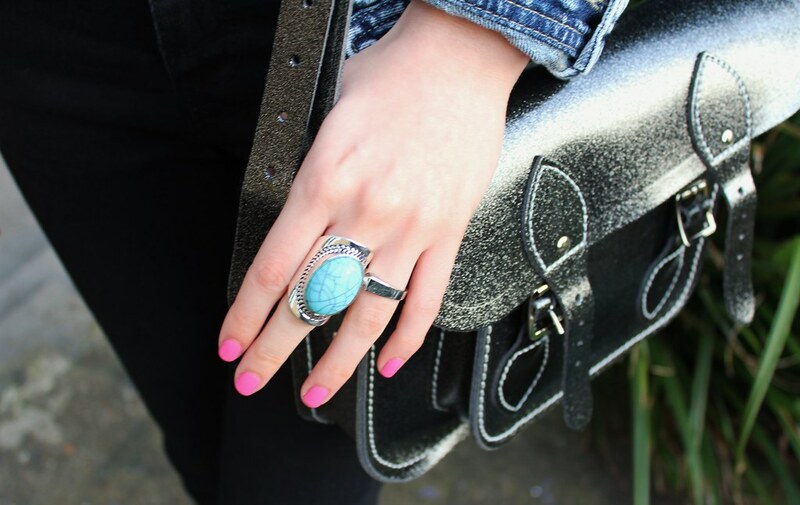 Another new Primark buy is this Turquoise stone ring which I love as I find it really difficult to find rings that fit my tiny fingers but this fits nicely! (P.s. Yes I do know my zip on my jeans is undone - typical haha). Loving the fact that it is also getting a lot lighter now so outfit pictures are a lot easier to take!